The cool and fun game that test yoru observation skills! Compare two seemingly identical pictures in each Picture Level in order to spot the differences between them. 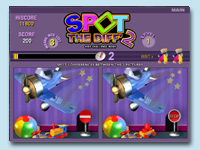 SPOT THE DIFF' 2 is an updated arcade-style version of the popular family classic pencil & paper "Spot the Difference" game that basically test and push the powers of your observation to the limits. "This is one of the best. The game has a unique style and uses very slick menus and transition screens." 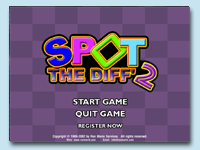 SPOT THE DIFF' 2 is now back with even more features than ever before! Just look at all the new exciting features you'll get to play. 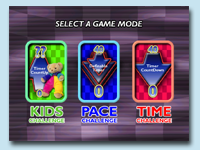 There's 3 exciting Game modes to choose from - KIDS Challenge, PACE Challenge, and TIME Challenge modes. No more debating over who can play the game. From young kids to adults, just about anybody can now play the game! Designed primarily for kids, the KIDS Challenge mode (see snapshot on the right) allows young kids to play the game too. The pictures are bright, colorful, big and... fun! The differences can easily be spotted by kids, although we must admit... adults do like this mode too, especially the bright, colorful pictures! Brings out the 'child' in you - just play the game like a kid !!! 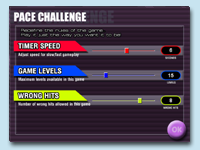 The PACE Challenge mode is just right for beginners (or anyone who likes to play with slower pace) who are new to arcade-style game approach where a split second can decide whether you win or lose. Redefine the rules of the game by changing the game speed and other options that will let you become a sure winner today! Here's where the 'heat' is on. Get into the TIME Challenge mode and compete with others to see who can make the mark by being the Top 5 in the High Score List. Oh, you gotta be quick! "Time and Tide waits for no man". One second can means a lot - either you win or lose! Wait... that's not all! 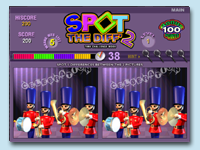 There's a Bonus game you can play upon successful completion of every 10th levels. 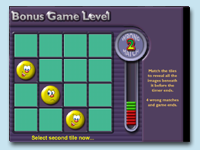 This is a fast-paced memory matching game with 'smiley' tiles. The more matching tiles you matched in the fastest time, the higher the EXTRA bonus points. And if you made it to the top, you can show off your quick and observing skills to others by putting your name in the High Score List! Tell them that you're great. That you can think and observe faster than them... That you're... real good! Period. 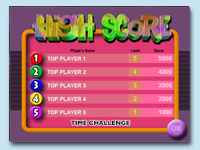 The HIGH SCORE screen is where it brings a rewarding smile to the top 5 winners. Lastly, like any good story... every good thing must come to an end. Unless you "change the script". The game comes in a 'locked' mode after the 30-day trial period has expired. You cannot play the KIDS and PACE Challenge modes until it becomes a registered version. Are you game for a good time? Register now and you'll get to enjoy the benefits listed below. Your registration helps to motivate us to develop more exciting games.